The school has the following policies and Management structures and any parent or learner may read any of the documents on request. Every pupil should constantly remind him/herself that both in private and in public, he/she is responsible for maintaining and fostering the good name of Henley High & Preparatory School by according respect towards all members of society, older or younger, the more-and the less-privileged. Striving towards the very highest standards in everything, from morality to academic performance, from appearance to performance on the sports field; and never indulging in any behaviour or activity which could bring the name of the school into disrepute. Learners are expected to be dressed neatly in proper school uniform during school hours, or while representing the school. 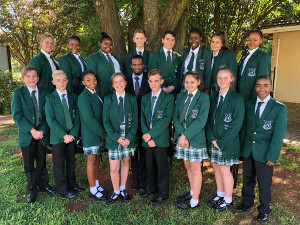 We expect our learners to foster a respectful and responsible attitude towards all persons and property with the acknowledgement of the fact that ours is a multi-cultural and diverse society. Henley High and Preparatory School is primarily an academic institution and in order for it to maintain and enhance its standards learners are required to regularly attend all classes and assemblies; be punctual; adhere to all reasonable instructions, be thoroughly prepared for all classes; perform all academic activities to the best of their ability and constructively participate in the academic learning environment. Learners are expected to actively co-operate in maintaining the attractive appearance of the school by adhering to school rules; opposing any form of vandalism and treating all school property / facilities with consideration. The school is opposed to the use of tobacco amongst learners. Smoking is not permitted when in school uniform, at school, or at any school activity. Any use or involvement in the use of drugs or chemical substances is a criminal offence and will be dealt with according to the School's Zero Drug Tolerance Policy.